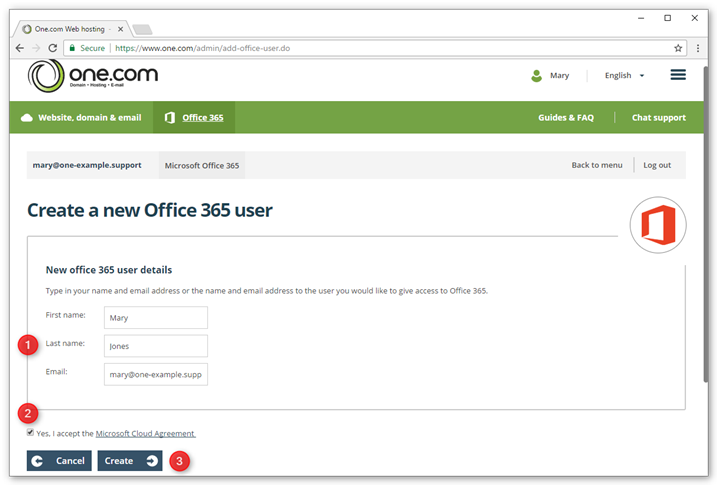 You create a user for Office 365 in the One.com control panel. 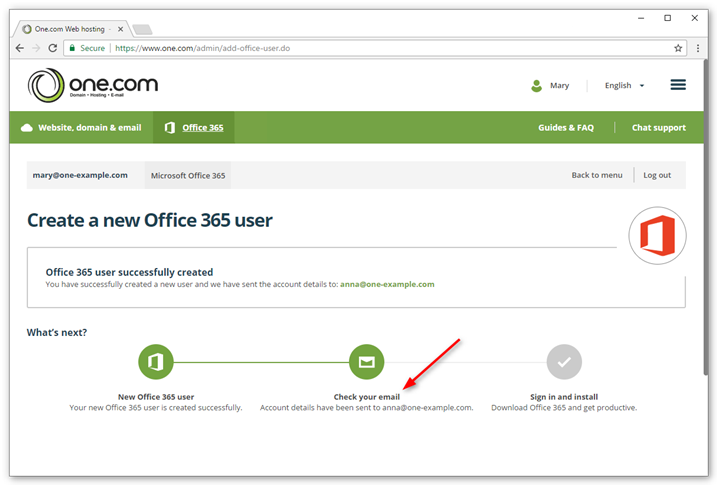 Log in to the One.com control panel and click Office 365 at the top of the screen. 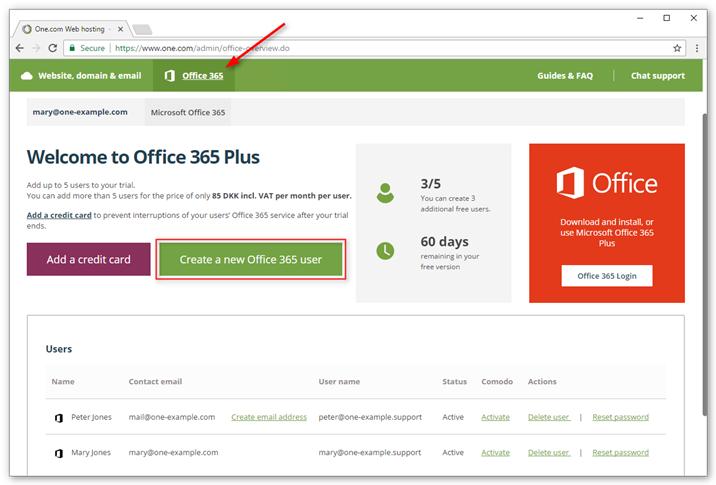 Click Create a new Office 365 user. Enter your first and last name and a contact email address. Check the box to accept the Microsoft Cloud Agreement. 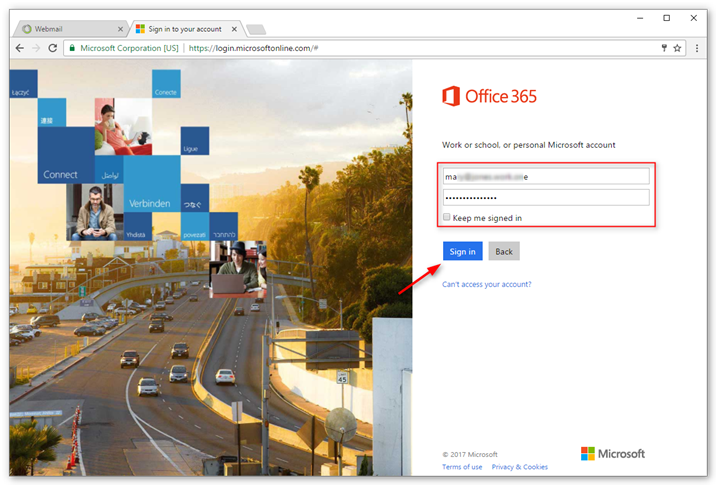 Note: The login details for this Office 365 user will be sent to the email address you enter here. Done! Your user is succesfully created. Check your email for the login details. 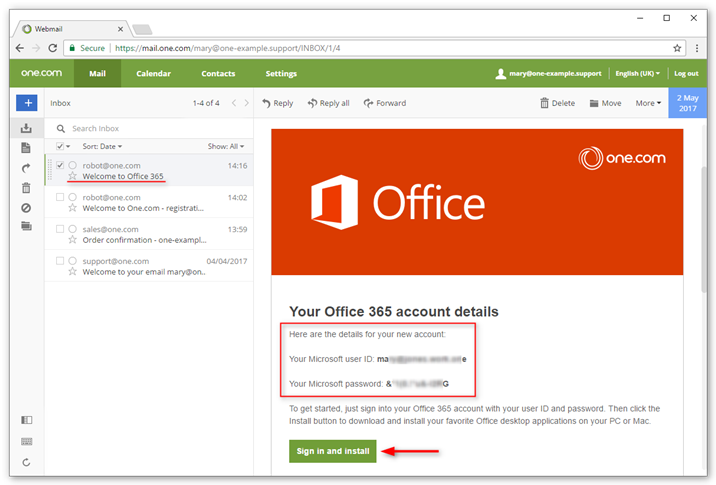 Open your inbox and open the email with the subject: Welcome to Office 365. It may take a couple of minutes before the email arrives. Click Sign in and install. On the next screen type in the Microsoft user ID and password, that are in the email. You now see your Office dashboard. Here you can manage your installations, apps and online documents. In the top right corner you see your name. Click on your name to go to your account settings. Below your name you see a button to start the installation of Office 2016 on your computer. In the blue bar you see tiles of the online apps included in your subscription. Click on a tile to access them. 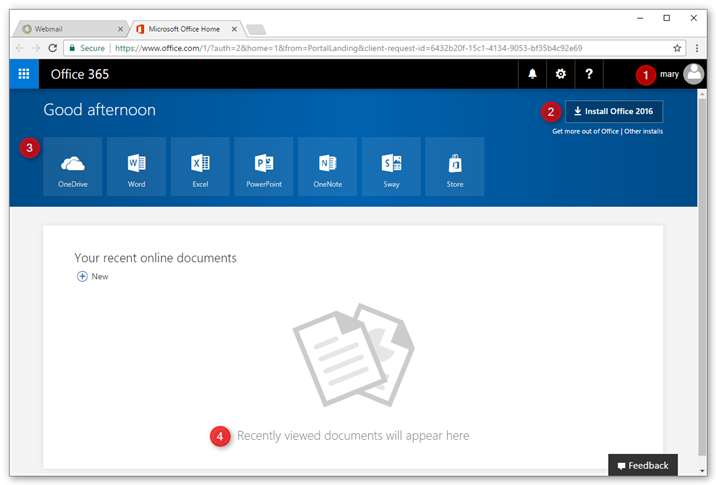 In the middle of your screen you will be able to see your recent online documents and OneDrive folders.